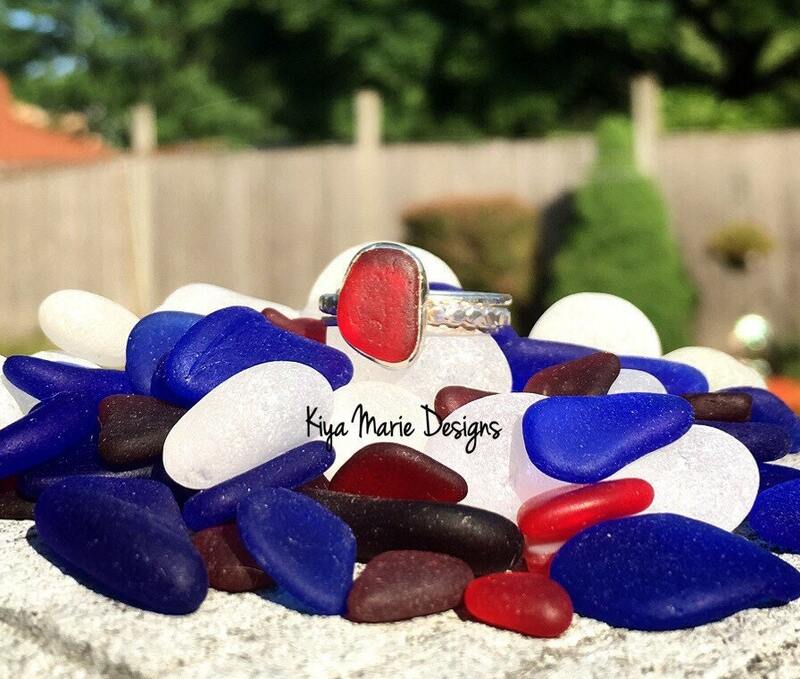 A beautiful, rare cherry red piece English sea glass is bezel set in Argentium Silver* for this gorgeous ring. The band is a US size 7.5. It is handcrafted and soldered together for a long lasting, beautifully simple ring. The band is made from hammered Sterling silver beaded wire. It also comes with two of my hammered skinny stackers for a total of 3 rings. Love it! The shape and balance is nice, but the subtle color is lovely....amber with a touch of green.